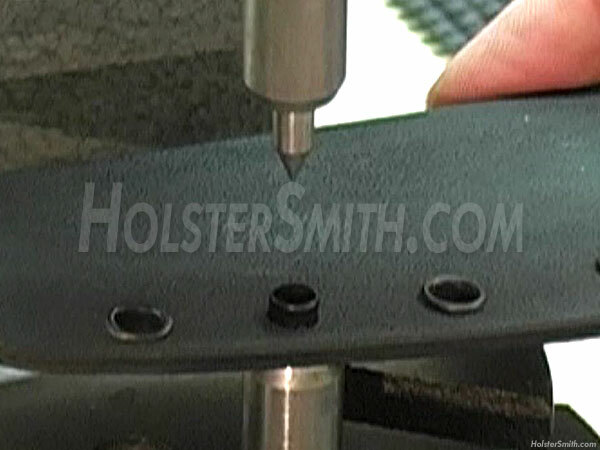 Our #8 Master Series Rivet/Eyelet flaring dies are designed to professionally "roll" the unflared side of a 1/4 inch sheath rivet (eyelet). These dies are sold as a two part set. They are milled at our facility in the USA. We own the machines that make our die parts and All CKK rivet flaring dies have been heat-treated for long life. 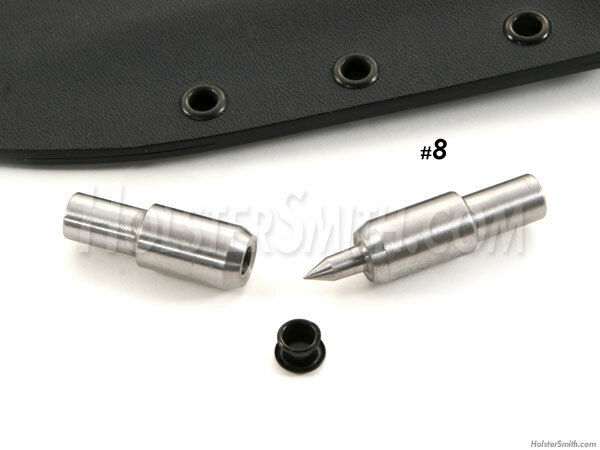 They have also been tumble polished to insure the correct smoothness, an attribute needed for a professional rivet finish. No other flaring dies in the industry work better. CKK eyelet flaring dies are the industry standard and are used by professionals who make thousands of sheaths. #8 rivets require a .250 inch hole (1/4) drilled in the KYDEX® sheet for fastening.